Taking an urban hike through Sunnyside provides an interesting and engaging opportunity to see how diversity and variety can cohabitat. I loved Sunnyside. 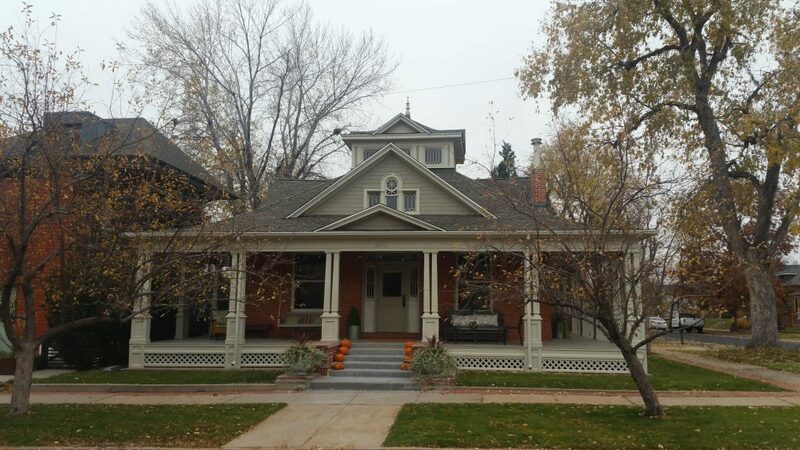 Sunnyside, with boundaries of the Union Pacific Railroad lines on the east, Interstate 70 on the north, Federal Boulevard on the West and 38th Avenue on the south, has a mix of housing, with everything from income-qualified blocks of homes to restored large turn-of-the century homes and WWII cottages intermingled within. A good community has good neighbors. In Sunnyside, the neighbors have created the Sunnyside Music Fest, held in Chaffee Park in September. 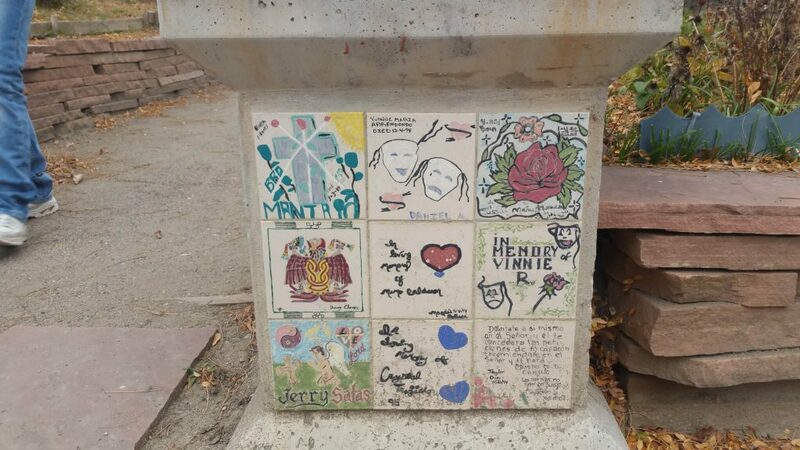 They also formed the Troy Chavez Memorial Peace Garden, in response to gang violence, to provide local kids with health after-school activities. In addition, Sunnyside’s downtown area thrives with the excellent Sunny’s Cafe (get the Hipster!) and rumors of a new brewery coming to Zuni. From income-qualified homes to old treasures, Sunnyside’s growth has waxed and waned. But it remembers its past, embraces its present, and thinks about its future. The artwork in alleys honors Sunnsyide’s Native American street-naming conventions. 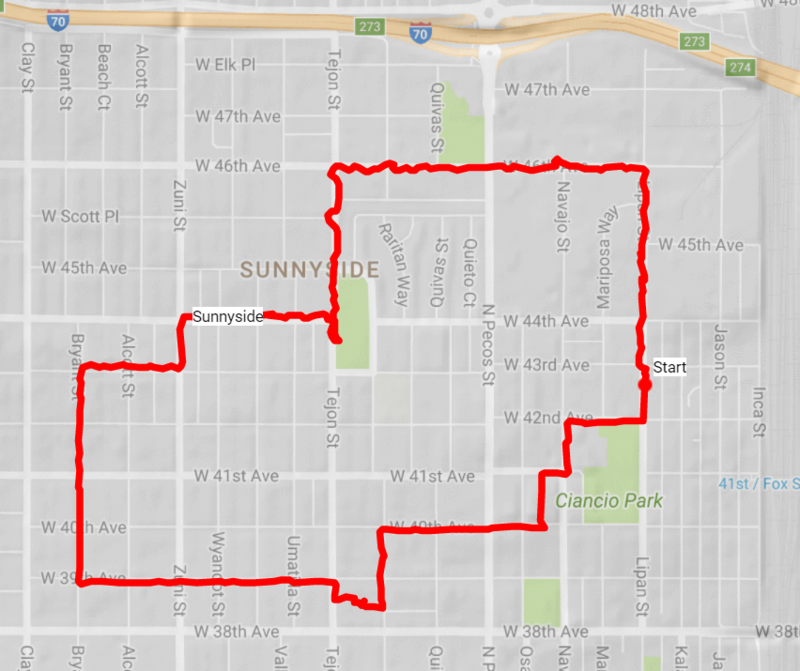 So, while walking in Sunnyside, be sure to see the entire neighborhood, not just some of its more popular areas. 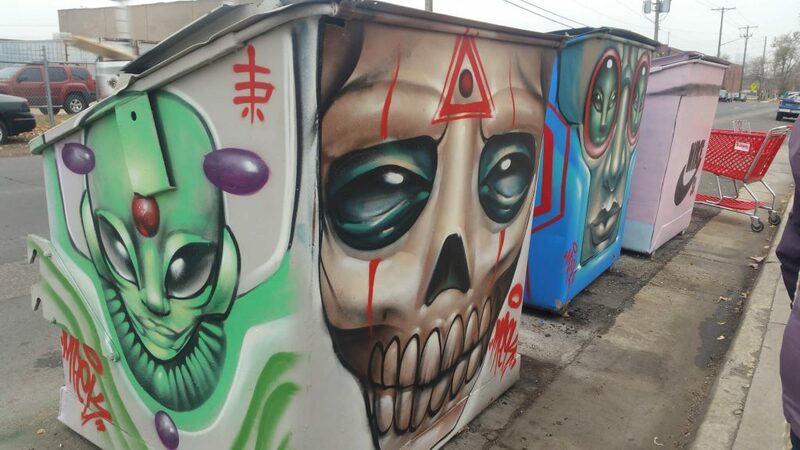 Start at 4202 Lipan St. Head north, enjoying the artwork on the dumpsters around the income-qualified housing. Take a left on W 46th Ave. At Tejon St, head south. You’ll pass Chaffee Park on the left. 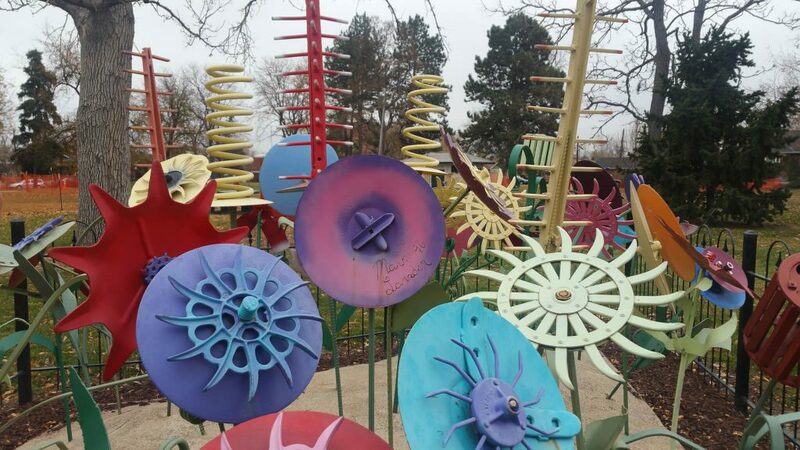 Drop down and see Artist Mark Lansdon’s ‘Garden of Flowers’, then come back up and go west on W 44th Ave.
Drop in on Common Grounds for a cuppa or if you need to use the restroom. Continue toward Zuni, walking through the small commercial area, Sunny’s Cafe, and the darling auto shop on the side side of the street. Take a left on Zuni. Take a right on W 43rd Ave then a left on Bryant St. At W 39th Ave, turn east (left). At Tejon, take a right and then a left into the first alley. Walk in the ally until you come to the Troy Chavez Garden. Walk through the garden, reading the signs and artwork, making sure you see the tiles on the columns at the entry. Exit the garden at Shoshone, turning north. 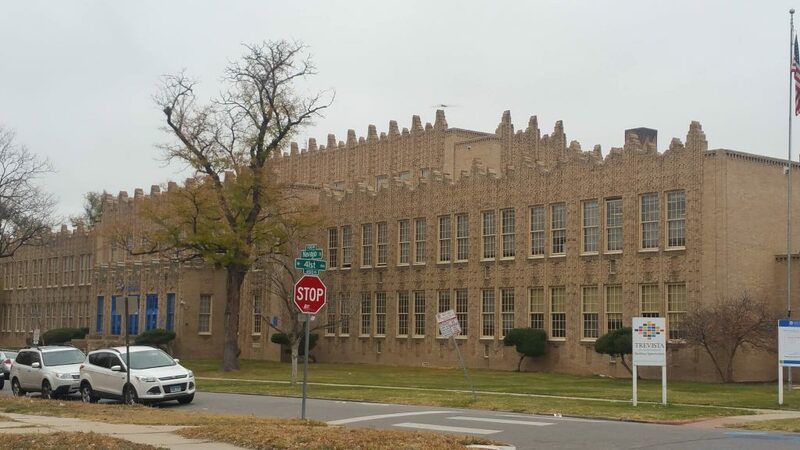 Take a right on W 40th Ave, then a left on the alley between Osage and Navajo, then a right on W 41st Ave.
At Navajo, head north, noticing the artwork in the street and the gorgeous Horace Mann school, now Trevista. At W 42nd St, take a right and return back to Lipan where you began this 3.5-mile amble.